Missionary Kids: Is it a good thing to bring our children overseas? Home » Posts Page » Blog » Relationships » Missionary Kids: Is it a good thing to bring our children overseas? Being a missionary kid has clear advantages. These comments sum up two of the advantages of being a missionary kid. MKs visit countries most Americans only dream about. They meet and become friends with people of many cultures. They often become fluent in a second, and even a third, language. They are international people in an increasingly connected global world. North American overabundance doesn’t blind them to the realities of life in other places. When the time comes for missionary kids to consider a vocation, they are eagerly sought by international businesses and government agencies because of their cross-cultural backgrounds and language skills. They are uniquely prepared for cross-cultural ministry. They maintain an interest in the world beyond the local. Missionary families, by virtue of being cast together into unfamiliar situations (adventures! ), tend to be close-knit and dependent on each other in a positive sense: everyone helping everyone else to cope in new settings and learning new ways. When parents are able to make the children feel included in their ministries, missionary kids develop a healthy sense of being valued partners in their family’s life purpose. Another benefit of being an missionary kid, not remarked on by Melanie’s public school teacher, is first-hand exposure to the example of adults living in faith and dependence on God. Observing parents and their colleagues who bring personal and mission needs before the Lord in trusting prayer, and then seeing God’s faithfulness in meeting those needs, helps build a foundation of faith for them. Our children have attended both Christian and public schools. During our first year overseas as a family, all of them began happily in the local primary school. Then Matthew, our eldest, reached the point where he would move on into secondary school. After visiting the public school with his class, he told us he really wanted to go to the Christian school in town for the next term. At that point in time, our support income was quite low – enough for our needs, but not enough to pay the tuition at this private school. We told Matthew we would pray with him, and if God wanted him to attend the Christian school, He would provide the necessary funds. When the nearby church we had just begun attending contacted us the next week to say we would be receiving a monthly gift from them, we were surprised. That the amount would cover Matthew’s tuition should not have surprised us! Matthew was thankful to be able to attend his new school, and more importantly, he saw God’s faithfulness to him personally, which reinforced what he saw in the lives of others around him. Life as an missionary kid has its challenges, not least of which can be having to say “good-bye” often. But the advantages far outweigh the disadvantages. 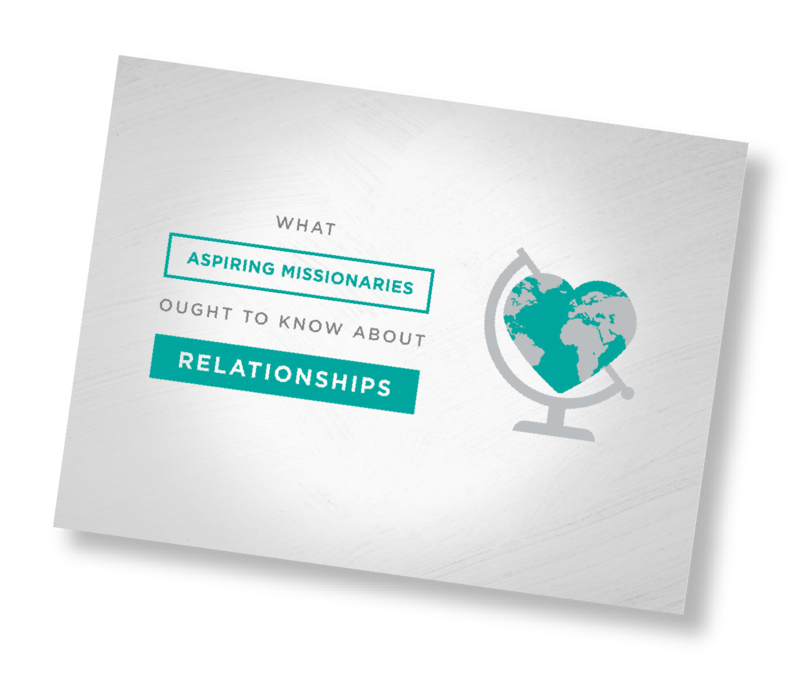 Subscribe to this blog to get this free guide to understand the dynamics of dating relationships that missionaries face.